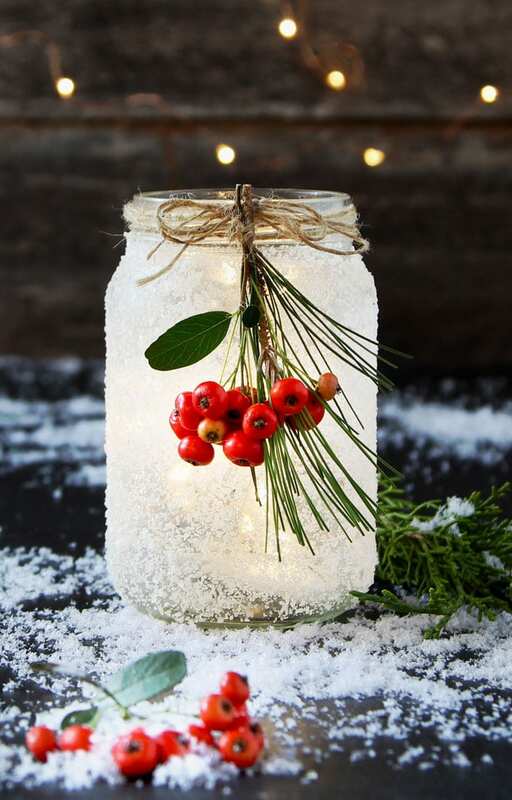 Introducing our new favorite winter and Christmas DIY: snow frosted mason jar decorations! Don’t be intimidated by their beautiful looks! 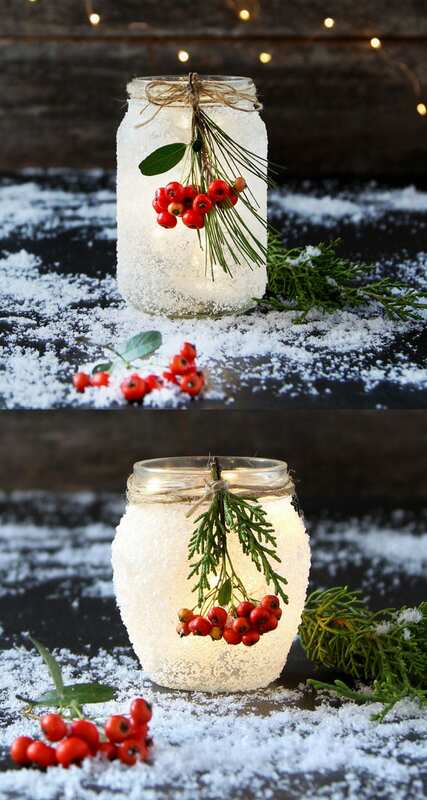 These DIY snow frosted Christmas mason jar decorations are practically free, and incredibly fast and easy to make. 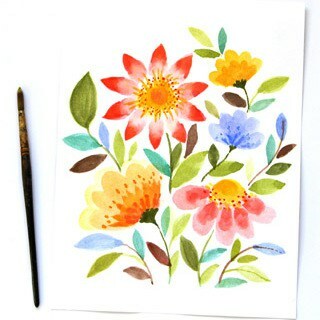 Can you imagine how beautiful they would look on a table, shelf , or fireplace mantel? 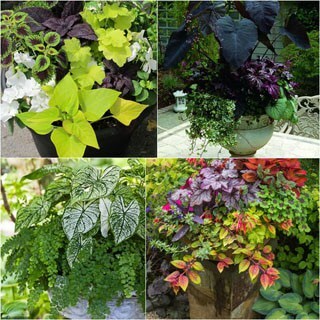 You can use them as Thanksgiving and Christmas decorations, or as gorgeous winter wedding centerpieces. 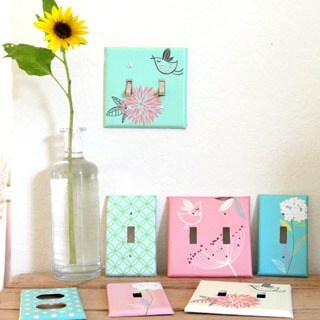 They are also lovely gifts and party favors. 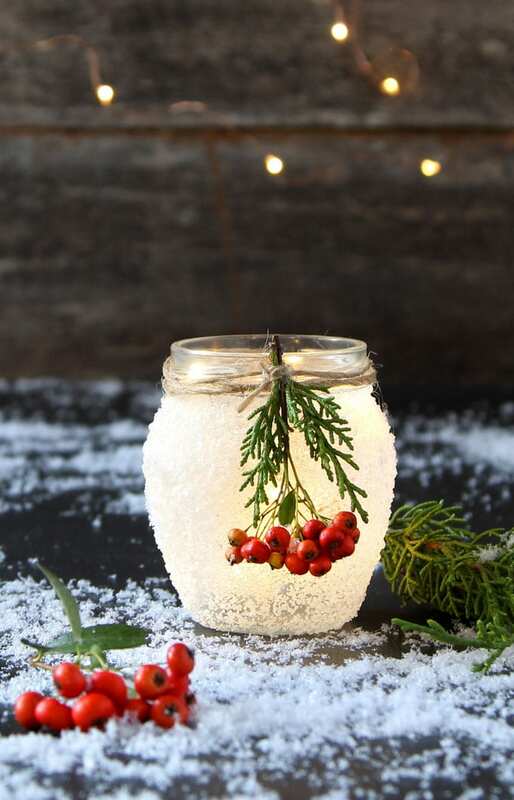 It’s such a wonderful Christmas mason jar craft for kids and the whole family. 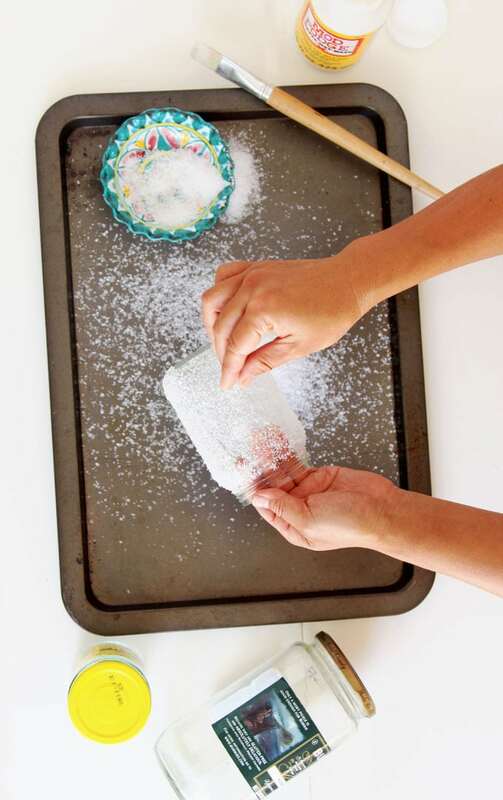 You will never guess how easy it is to make the dreamy snowy look! mason jars or any recycled glass jars. 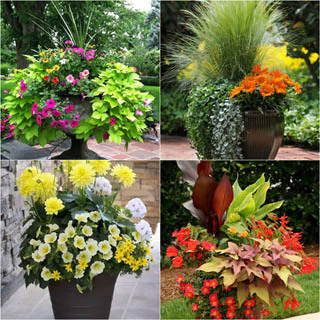 You will also need some natural or artificial elements such as pine cones, berries, and conifer cuttings. They are easy to gather on a nature walk. 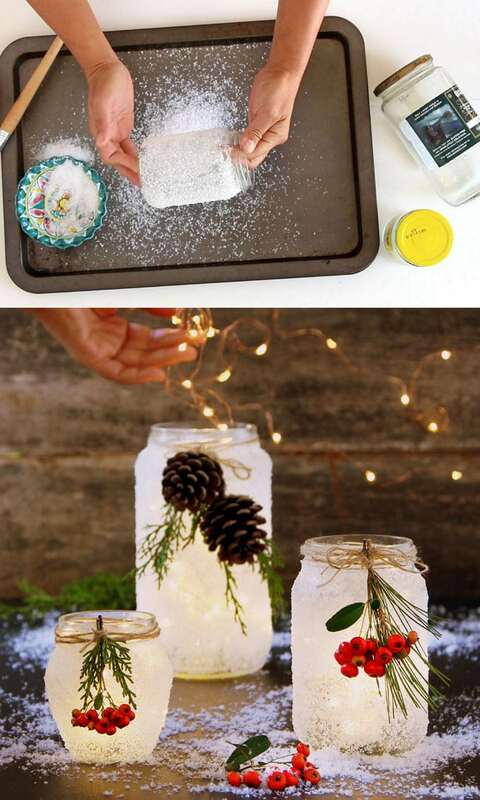 Check out the DIY snow frosted mason jar decorations video tutorial below, or skip to step by step written tutorial. In this version I wanted to create some contrast with the snow frosted jars, so the top rim of each jar and the embellishments are not covered with snow. The key to success here is to work quickly so you can apply the “snow” before the glue starts to dry. 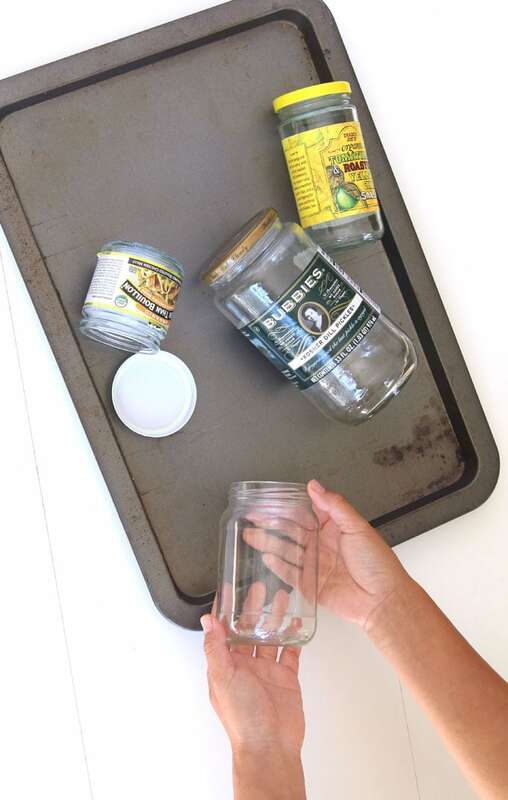 Coat the outside surface of the mason jar with a generous coat of glue or Mod Podge, so there are no dry spots, and no dripping glue either. Ready for the secret? 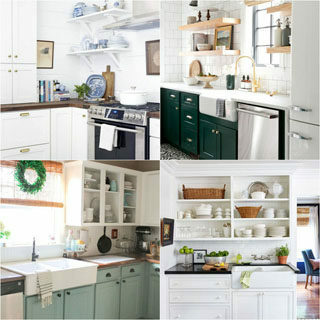 The snow is in your kitchen! You can use regular salt or kosher salt. We used Morton Coarse Kosher Salt here because the larger flakes look beautiful as snow. 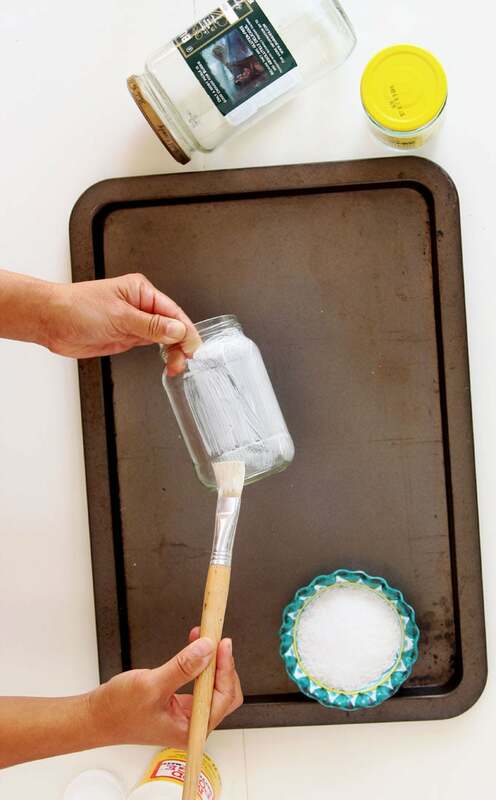 Take a handful of salt, sprinkle onto the glue coated surface as you rotate the jar. Don’t touch the glue and salt coated surface. 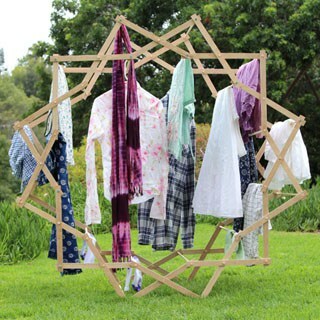 When you finish, set aside to dry. 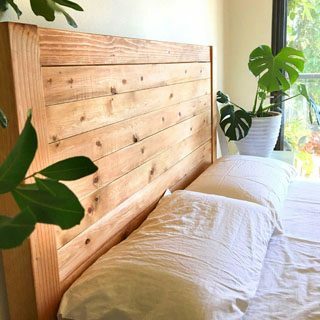 It will take only 10-20 minutes in a warm place. Once the jars are dried, gently brush off the excess salt on the surface, you will still have plenty left firmly glued to the jar. 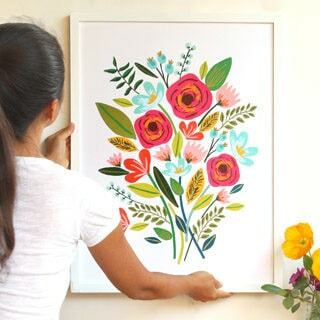 You may also love: 27 gorgeous DIY table decoration centerpieces for Christmas and Thanksgiving. 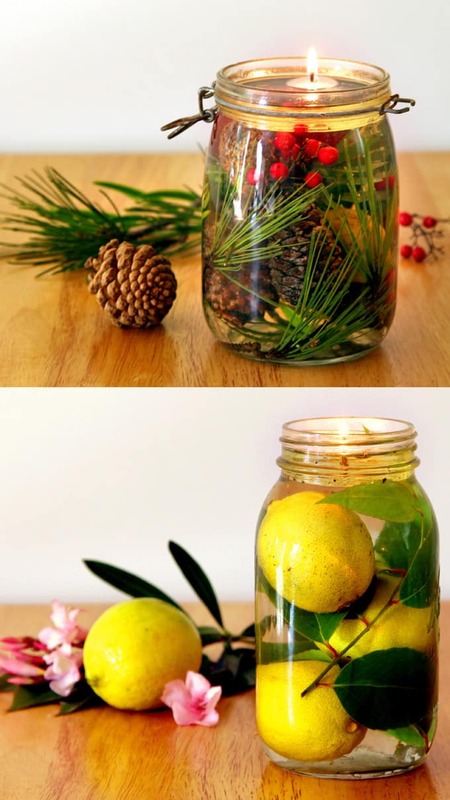 Warp some twine around the rim of each jar. This provides a good spot to glue the embellishments. 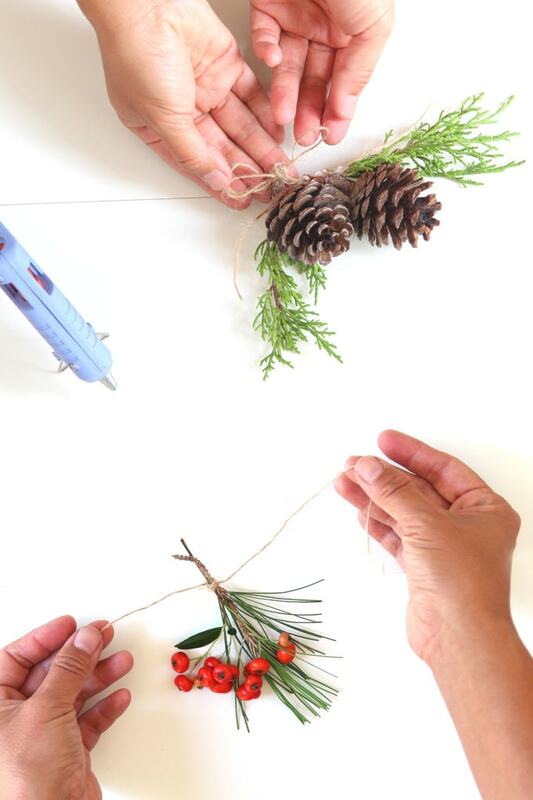 I found it much easier to tie sprigs of berries and /or conifer cuttings into a bundle with hemp or jute twine first, then glue the bundle to the twine wrapped around the rim of the jars. 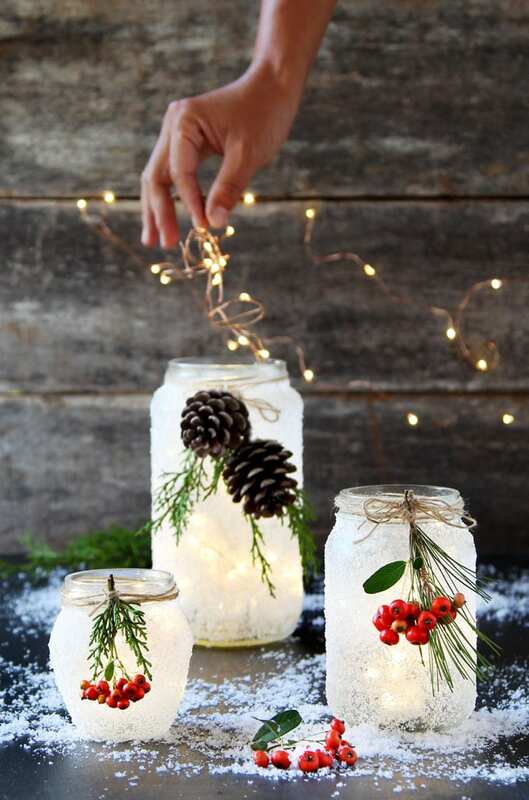 Our DIY snow frosted mason jar decorations are looking beautiful already, but when you add lights to them, they become extra enchanting and magical ! 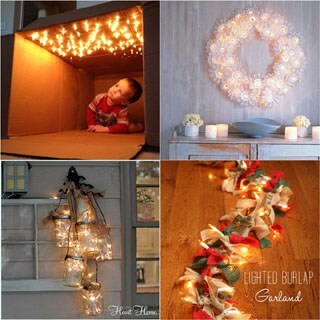 To light them up at night, you can use battery powered LED fairy string lights or real white votive candles. We used these battery powered LED fairy string lights . They are great because the tiny battery units are almost invisible inside the jars. Just turn on each one and drop it into the jar. 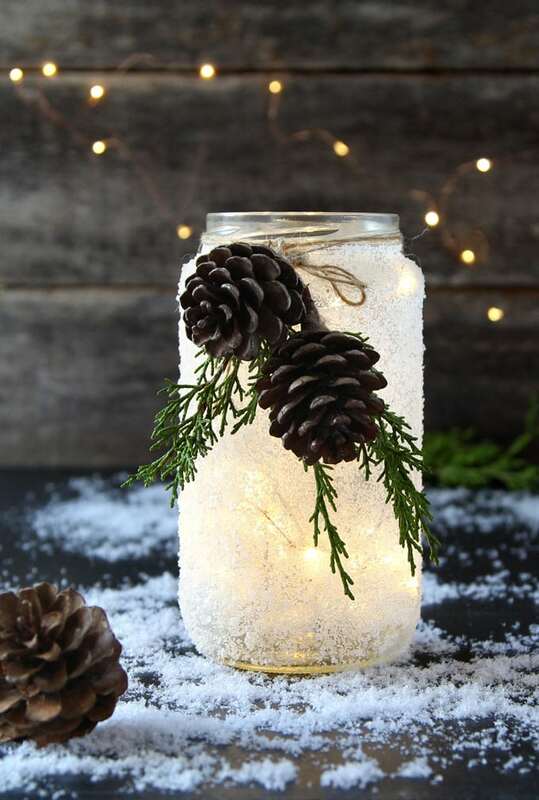 I could totally see these elegant pine cone and greens snowy mason jar decorations as gorgeous winter wedding centerpieces, or farmhouse style decorations for everyday magic. 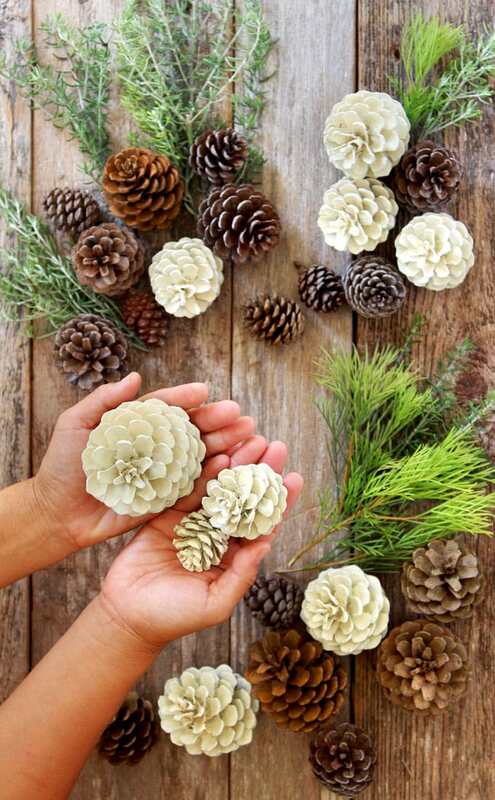 Speaking about winter weddings and farmhouse decor, you may also love these 5 minute “bleached pine cones” without using bleach! Find out the secrets here! 5 minute “bleached pine cones” without using bleach! 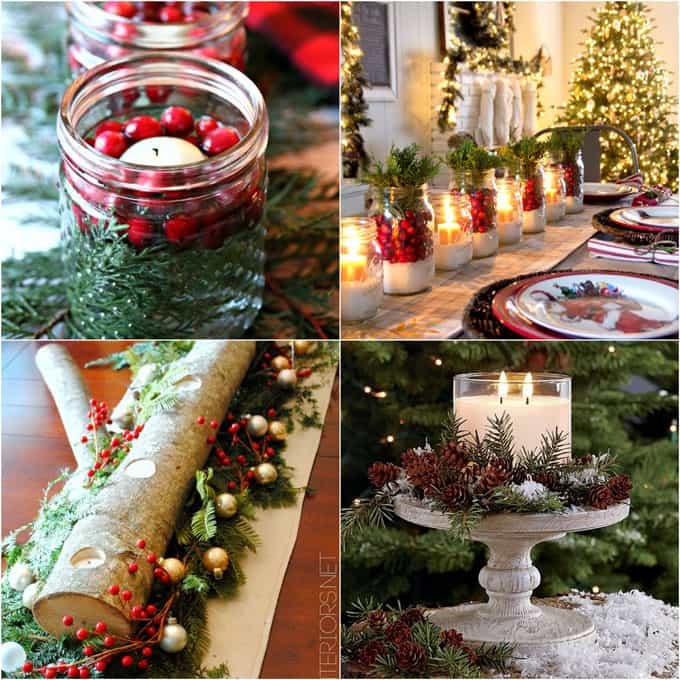 The frosted mason jars with red berries are so festive, perfect for Thanksgiving and Christmas decorations. You can also use faux greens and berries. 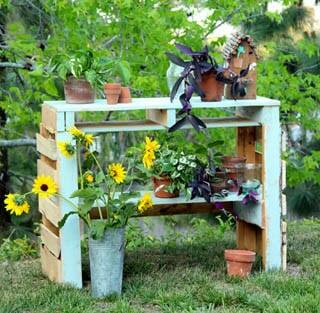 The fresh greens will last for weeks if you use cedar or cypress. The fresh berries will look great for 1-2 weeks depending on the species. Holly berries can for last quite a while. 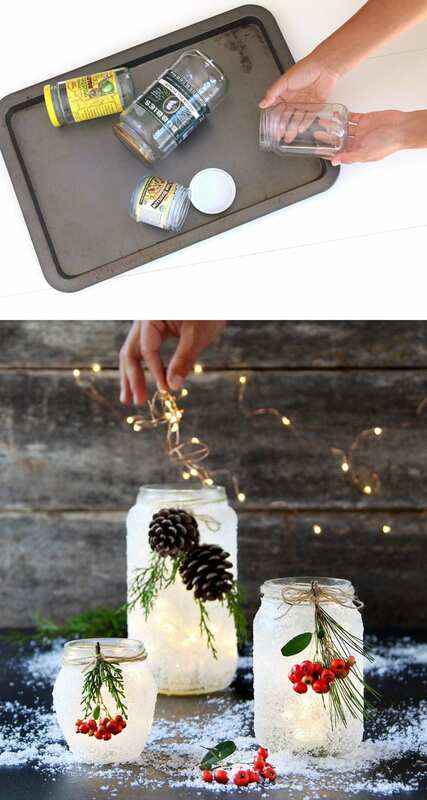 Here’s another easy and beautiful DIY mason jar light: no candles needed, just a magic wick! 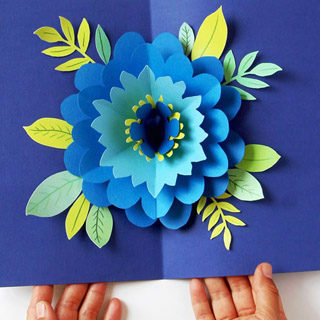 It’s very helpful and some amazing ideas.